Want free membership??? 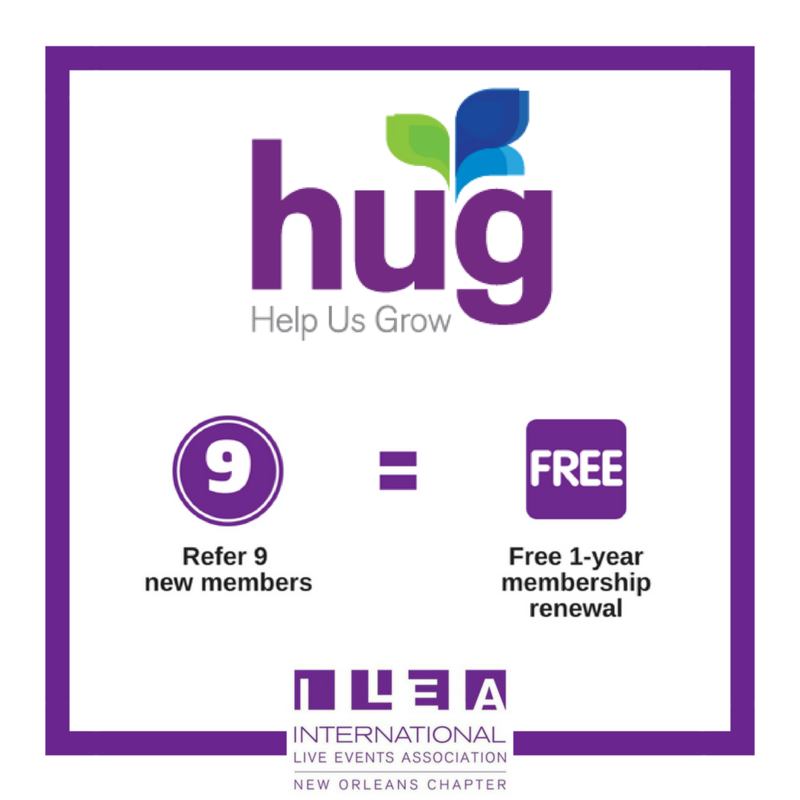 Get $50 off of your membership renewal for EACH new member that you refer that joins ILEA New Orleans! 9 new members = FREE Membership. AND the new member that you refer ALSO gets $50 off of their membership when they join using the promo code "HUGILEA". Make sure they include your name in the referral box when joining. Give your colleagues HUGs and HELP US GROW!!! For more information and tools to help you refer, CLICK HERE.